Portion Control: How much to eat? In today’s society, the word obesity has grown to become a global epidemic. As a society we are now larger then ever and those numbers are continuing to grow as the years go on. According to the Australian Bureau of Statistics, the number of overweight and obese Australian adults has increased by 2.8 million between 1990 and 2005. It is anticipated that if this current level of growth continues, by 2020, 75% of the population will be overweight or obese. This shows an alarming and rapid increase in progression of the disease. With such an issue being in constant view of the public eye, there has been an overwhelming urge to maintain a healthy weight. This has brought along a surge in weight-loss products, weight-loss schemes, low-fat food items, low-carb items, natural sugar replacements and much more. The one most recognized word used in promoting such products, is the word calorie. Simply announcing the word around weight conscious people brings on wide spread talk and fear when consuming certain foods. A calorie is a term used as a means of energy measurement however in food terms, the calorie amount stated defines how much energy is obtained from the food ingested. In an effort to provide a guideline for the public, a recommended daily intake of 2000 calories was announced that would fulfill 97-98% of healthy individuals based on research. This created number has caused people in a weight conscious world to consciously count the number of calories consumed in a day, in an effort not to exceed the 2000 calorie limit which “may” cause weight gain. Calorie counting is widely carried out yet this extreme form of measurement is only needed by some athletes and bodybuilders. This time consuming method proves to be nothing but an annoyance, which often leads to obsessive behavior and failure at the task at hand. There is a much easier form of portion control that can be carried out by every person with nothing more needed then the persons own hand. A world leading exercise nutritionist and founder of Precision Nutrition, Dr. John Berardi, created this method to help with his clients carry on with their hectic lifestyles while still maintaining proper portion control without calorie counting. So after much statistic regurgitating and back-story telling, here it is, nice and simple. All you need are your eyes, your hand, and the ability to count to two. No scales, measuring cups, caloric website or dietary books are needed. 2 entire thumbs of fat dense foods if including extra fats. 1 entire thumb of fat dense foods if including extra fats. While this description is easy to follow, often a visual image makes learning such a system easier then it already is. Below is a picture of what Dr. John Berardi calls an “anytime plate”. This meal is designed to be consumed at anytime of the day to help maintain/improve body composition. As you can see, this is a very simple method in gauging how much food you are consuming. While it is not the be-all and end-all of portion control, it is a very easy system to maintain. The next time you sit down to eat your meal, take a quick look at your hand and see if that’s what you should eating. So, unless you’re a bodybuilder competing in a show in a few weeks, a boxer trying to make weight for a weigh in, or carrying out a nutritional experiment, forget about the calorie counting. It will do nothing but take up your valuable time that could be spent better elsewhere. It’s that time of year again when everyone realizes that summer is just around the corner. We start to get glimpses of summery weather every couple of days and plans for summer trips are in motion. This is ever so evident in the gym environment where panic mode is striking amongst members as their “It’s winter, no one is going to see my body anyways” mentality is no longer the case. This slow and casual gym attitude has now been replaced with urgency in an effort to get themselves beach ready for the next upcoming months. While getting a beach worthy body seems to be the main reason for becoming leaner, there are several other benefits to maintaining optimal body composition all year long. For the first time in human history, it is predicted that the generation of today is expected to die 5 years earlier then their parents. With such a statistic, Nike has teamed with the American College of Sports Medicine and the International Council of Sport Science and Physical Education in an effort to promote proper physical activity (http://www.designedtomove.org) With the ever-growing rate of obesity, there shouldn’t need to be any other reason for why we should want to have an optimal body composition level. Carrying excess levels of fat has a detrimental effect on how our bodies perform in keeping us healthy; Diabetes, Stroke, Cancer, Insulin resistance, Muscular and skeletal pains, organ failure and much more. All of which can all be stopped, treated, and even reversed to an extent all by lowering body fat levels. Try this, run 100m sprint… now try it once again wearing a 5kg or even 10kg weighted vest. There is a huge effect on how you perform. Carrying around extra weight hinders performance in athletic performance as well as everyday life. Apart from swimmers and sumo wrestlers, there is really no real need to hold onto body fat as a form of athletic advantage. By lowering body fat levels, ever facet of performance increases as it allows our bodies to me much more efficient. Lower body fat means that muscles can perform better as power increases as a result of less resistance. Relative strength vastly improves as demonstrated when performing a chin-up. Many big guys may be able to pull a lot of weight when seated for a lat pull-down however when asked to do chin-ups are unable to perform them to such an impressive extent. Today’s society is heavily influenced by self-image and this is often the case for why people join a gym. While there are many physical benefits to becoming lean, there is also a mental one. Self-esteem is highly affected when a person is happy and confortable with the way they look, more often then not this occurs at an optimal body composition, which is determined by the individual. High self-esteem greatly affects the quality of life and this is why I believe it deserves to be on this list. The leaner we are, the more effective our body is at utilizing nutrients absorbed from our diet. This is due to proper insulin sensitivity, which allows nutrients to be diverted to the appropriate channels. Often individual with high body fat percentages are affected by insulin resistance, which causes a decrease in energy levels and increase in fat storage. Insulin resistance is where cells no longer respond to the secretion of the hormone, insulin. The pancreas releases this hormone when carbohydrates are ingested. It regulates the metabolism of carbohydrates and fatty acids. In less science specific talk, its acts as a gatekeeper, when it is released the body utilized carbs and fats to create energy. With someone who is insulin resistant, carbs and fats are shuttled and stored as fat. This reason is a roll over from the previous statement. If you ask people who have lost weight how it has affected their energy levels, they will always say it went up. This is due to their body being able to create more energy through better insulin usage, as well as a higher metabolic rate. More muscle and less fat causes our metabolic rate to skyrocket giving us more energy from the foods we eat. The added bonus of a faster metabolism is that it also means that the human body burns more calories when at rest. The leaner you are, the more effective you are at fat burning or keeping it off in the first place. With all this being said, it is easy to understand why it is beneficial to maintain optimal body composition throughout the year, instead of being seasonal for aesthetic purposes. Each one of these benefits plays a vital role in your physical and mental wellbeing and for all the perks there is no reason not to. Stay tuned for the upcoming article of tips and tricks to help you achieve a better body composition. Kahn BB. Lilly lecture 1995. Glucose transport: pivotal step in insulin action. Diabetes 1996;45:1644-54. Everyone who trains properly knows that the physical aspect of training and nutrition go hand in hand. In order to reap the benefits of your work you must have both aspects or all of your effort is undone. However one aspect is widely overlooked by trainees, because this aspect hasn’t received the attention that it deserves. While the knowledge is out there, it hasn’t been emphasized as much as it should, although it is being encouraged more and more everyday. Recovery is the third wheel to the training lifestyle that plays a large role in your success. It makes sense that training and nutrition come first as they’re aspects of your training life that you willingly opt to change in order to get where you want to be. People talk about this new program or this super food but no one every talks about changing your sleeping pattern, lowering the stress in your life, or employing recovery methods. Over the course of this article, I will be going through a variety of avenues that influence performance recovery. Each of these topics will be addressed and recommendations will be given in order to help you fulfill a well-rounded approach to training. Let me start off by saying that some of these techniques aren’t something your supposed to do after every workout or even several times a week. If you can fit it into your training schedule somehow then great, if not? Just ensure you adhere to the methods that should be employed at all times (these are easy to do yet are surprisingly overlooked a lot of the time). It is amazing how overlooked this aspect is. Sleep is the period where our body is in “recovery mode”. Several physiological processes occur as a result of our day-to-day life and to prepare us for tomorrow. Research shows that 60%-70% or growth hormone is released while we sleep which is important, as this hormone is vital in order to build muscle and lower body fat. Brain function is also improved as sleep causes adenosine levels to decrease (this causes the brain to lower neural activity), which allows the brain to recharge. Like all mammals, the darker our surrounding, the better we sleep therefore create that environment by shutting off all electronics and have good curtains to block out light. Strive to achieve 8 hours a night in order to gain these benefits and wake up refreshed. I once heard a world champion athlete talk about his diet, he stated, “You would never put diesel in a Ferrari”, and the same goes for our body. In order for us to act like high performance machines we need to fuel ourselves with the right nutrients. By taking in the right nutrients we allow ourselves to recover faster and provide the energy levels we need to train and recover. Your diet should consist of lean meats, vegetables, berries, and healthy fats. While you all probably have read about nutrition, ensure your post workout shake has at least 30g of high quality whey isolate protein for muscle repair (carbs only if you are carb tolerant or are an endurance athlete). Branch chain amino acids are the building blocks of muscle building nutrients. Supplementing in this amino acids is vital as the body cannot produce it therefore we require it from an extrinsic source. Research shows that taking this before/during/after training allows for faster recovery and minimizing muscle damage, thus resulting in a higher level of protein synthesis. Aim to take a minimum of 30g broken up pre/during/post for the greatest result. Stress can be a huge factor in our lives; it changes how we act and what we feel. It has the same effect physiologically that can hinder our recovery process. A high level of the “stress” hormone cortisol affects insulin levels, that effects nutrient partioning, which in turn effects our body composition. Combat these negative consequences by trying (I know its not all that easy) to leave work at work, take some time out with friends and family, go do things you enjoy (yes, eat a slice of that pizza you saw on your way home). Your good mood will correlate to how your body reacts and the less stress you have mentally, the better it is physically. Ever seen those athletes sitting in a bucket of ice after their game or event? This is what they’re doing. Alternating 30 seconds of hot with 30 seconds of ice cold causes the body to increase blood flow around the body. The increase of blood allows for better oxygen supply as it is passed through the heart, which oxidizes the blood vessels before returning them back to the recovering muscles. While not all of us have these buckets, a shower works just as well. It’s a hard thing to accomplish self-massage in hard to reach areas, therefore a foam roller does the trick. A high-density log-like object is placed on a specific muscle where the users bodyweight is placed on top, then used by gravity to create pressure upon the muscle. The user then rolls back and forth causing a self-massaging technique to release tension on the muscle. The right one’s feel amazing but sport massages HURT. This is caused by deep muscle tissue being massaged by the masseuse in order to release tension in the muscle. While the overall effect is a stretched out and relaxed muscle, the patient generally feels bruised for the following days. I classified this as non-essential as the recovery period from treatment will effect your training, as well as the monetary cost. While many people wear them for their “athletic look” or as a base layer during winter months, these garments act similarly to hot/cold treatments by increasing blood flow around the body. Gradient compression means that the material is tighter around your extremities and gradually relaxes towards your torso. This acts to push the blood back towards the heart where it is replenished by oxygen. Although the essentials seem straightforward and basic, they have the greatest impact on your recovery process. By addressing these immediate influences, you give yourself the greatest ability to prepare yourself for the upcoming workouts as well as recovering from your previous ones. But at the end of the day, here is the take home message, Train hard.. Go eat.. Relax.. Get some sleep.. Then do it all over again! Broughton, Roger, Robert Olgivie(1992). Sleep, arousal and Performance. Birkhauser. Howatson, G., Someren, K. The Prevention and Treatment of Exercise-Induced Muscle Damage. Sports Medicine. 2008. 38(60, 483-503. Morin MD, Charles M.(1996). Relief from Insomnia: Getting the Sleep of Your Dreams. New York: Doubleday Main-street Books. 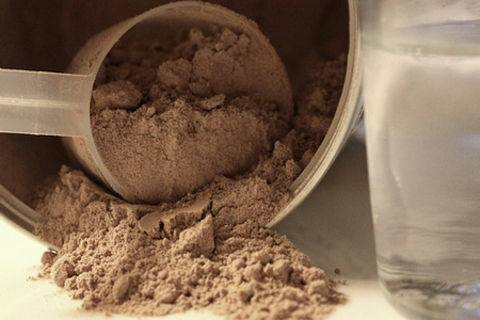 Protein Powders: What to pick? Protein Powders: How to pick? While at work the other day, a young impressionable member of the gym came up to me for some advice on supplements, protein powder to be precise. With a queried look upon his face, I assumed he was clueless to what he was after and with such variety out there I don’t blame him. Of course this was the go to supplement as everyone in the fitness world, or the world equates people who go to the gym with protein powders. After all, it is the most widely used and researched supplement, which acts as the base product for all supplement companies. Fortunately I work in a gym that has a small retail area that stocks protein powders so I was able to help him decipher through the various options. There are numerous types of powders available however some are more favorable/accessible due to their popularity and effectiveness. Isolate: The purest form of protein powder (90% +), which is used by the best quality companies. The high purity levels often means that this is also the most expensive version on the market. Concentrate: While still a great option, this is the less concentrated form of protein (75-89%) therefore is often slightly cheaper and used by companies to market an effective yet cheaper product. Blend: A combination of both qualities, which are used as a way of claiming the use of and Isolate but with a cheaper overall cost. This is another protein source that is derived from milk that follows whey in popularity in protein supplementation. This source has the impressive property of the casein molecule being able to transform into a gel within the stomach. This allows a slower and most sustainable release of nutrients within the body over a prolonged period of roughly 8 hours. Due to this time release, this source is the best option when looking to support the body’s recovery process during sleep, or mixed with a whey product as a meal replacement during the day for sustained release. While Whey and Casein are derived from milk, this product comes from the soybean. As with Whey, it can be broken down to isolates and concentrates that have the same influence on the retail cost. One of the benefits of this product is that it is lactose free and comes from the soybean, which is a complete protein source. Due to this, it is widely chosen by vegetarian and lactose intolerant populations. Soy protein can be used following the same directions as whey protein. This is another vegetarian option that as the name implies is derived from brown rice. It has the added benefit of being highly digestible and allergen free. As with the soy and whey protein products, it is a complete protein therefore contains both essential and non-essential amino acids. While this is a less popular option, it is still available although only through more specific companies. Rice protein can be used following the same directions as whey/soy protein. This is the most uncommon of all the powders, and is only utilized by specific companies as it is often only sought after by specific users. It is less allergenic than soy and due to the lack of popularity can often be a little pricier then its other ingredients as it is a niche product. Eggs have been a primary source of protein for years as they have the highest count of protein/g of net weight amount. It is for this reason that it is only to be expected that a powdered and longer lasting form would be created. It is essentially a powdered form of the egg white, therefore is fat-free and considered a whole protein source. The absorption level varies from 1.5-3 hours thus is best used like a whey product. As you can see, there are a wide variety of protein powder ingredients that are used and all for different reasons. Picking one that suits your needs is the most important based on your lifestyle habits and your main purpose for choosing them. However, protein powders aren’t the magic bullet that supplement companies make them out to be. They are however great when you have a busy lifestyle or are in need to “supplement” your pre-existing diet. With an active lifestyle, here are my recommendations for how much protein you should be consuming per day. 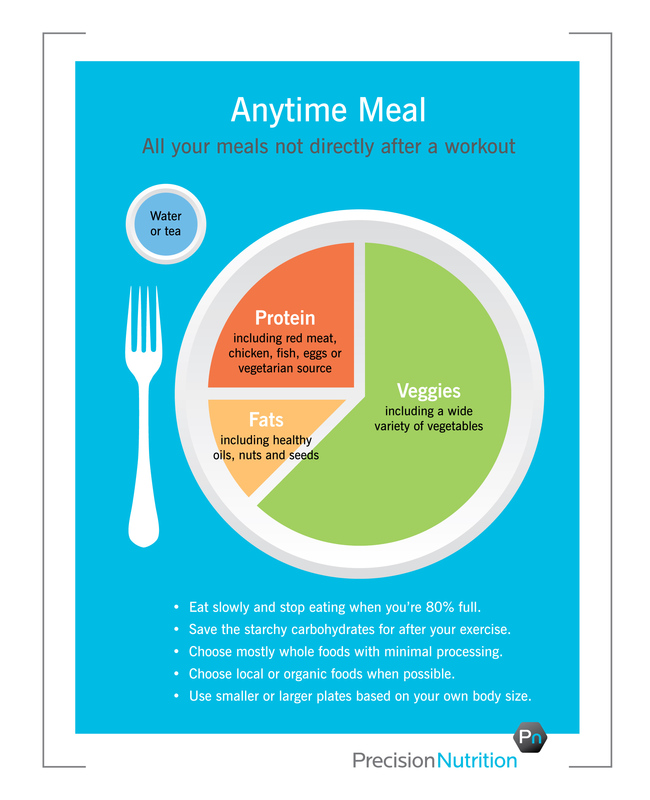 To get a meal amount, simply divide the total number by the number of meals consumed per day. At least 1g per pound (lbs) of bodyweight in order to maintain or spare muscle during a period of fat loss, and During a time of muscle building period increase the amount up to 1.5g/lbs based on your activity levels. Boirie, Y., Dangin, M., Gachon, P., Vasson, M.P., Maubois, J.L. and Beaufrere, B. (1997) “Slow and fast dietary proteins differently modulate postprandial protein accretion.” Proclamations of National Academy of Sciences 94, 14930-14935. Jay R. Hoffman and Michael J. Falvo (2004). “Protein – Which is best?”. Journal of Sports Science and Medicine (3): 118–130. Norton, L., E., & Wilson, G. J. (2009). Optimal protein intake to maximize muscle protein synthesis: Examinations of optimal meal protein intake and frequency for athletes. Agro Food Industry High-Tech, 20(2): 54-57. Phillips, S. M., Moore, D. R., & Tang, J. E. (2007). A Critical Examination of Dietary Protein Requirements, Benefits, and Excesses in Athletes. International Journal of Sport Nutrition & Exercise Metabolism, 17S58-S76. Wolfe, Robert R (2000). “Protein supplements and exercise”. The American journal of clinical nutrition 72 (2 Suppl): 551S–7S. This blog is here to help everyone out there with all their fitness goals, by giving them factual and researched knowledge to guide them. With the internet as our prime source of information, it is a large area of misconceived information that often confuses the reader. It is filled with self proclaimed “experts” that swear to know “how to lose weight on this detox diet” or “how to gain X amount of muscle in only 3 short weeks”. Now I will start off by saying that I am not an expert, I will be the first to announce this. However I will say that I have dedicated myself to to personally trying techniques to better myself. As easy as it is to talk about ideas, experiencing them brings a whole new insight to how the ideas are experienced ,and their effectiveness. With so much information out there, I am here to show and tell you things that work and aren’t here as a fad. This knowledge has been around for years and there is good reason for this, because it works! I am a 24 year old guy who grew up playing sports and being active my entire life. This naturally led to wanting to learn more and bettering myself. I attended the Physical education school at Otago University in New Zealand. This is where I completed a 4 year degree in a Bachelor of Physical Education (BPhEd) with a double major in Exercise Science and Exercise Prescription. After this I completed my personal training qualification in New Zealand as well as in the United states through the highly regarded National Strength and Conditioning Association (NSCA), where I plan on completing their “Certified Strength and Conditioning Specialist” certification. Hopefully after reading that you now believe that this blog now holds some merit with each article posted. I hope this blog helps you and your fitness goals!